A sturdy, easy to clean crib mattress is the Holy Grail for any busy parent. Moon Slumber’s dual-sided, water-resistant crib mattress certainly fits the bill and boasts a hypoallergenic cover to boot. The mattress uses medical grade fabric to deliver a firm, safe sleeping surface for infants. After the first year and a half you can flip the mattress to lay your toddler on a softer surface. 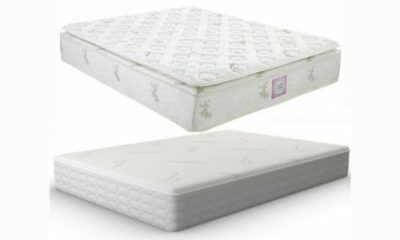 Moonlight Slumber is one of the best crib mattresses to the US for the last 15 years. Does this latest entrant add to an already glowing reputation? Read on to find out. 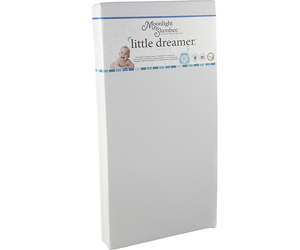 This Moonlight Slumber Little Dreamer crib mattress is dual-sided meaning you get a thick, firm layer for infants on one side with a plusher foam side for toddlers. The outer cover is dual stitched for long-lasting quality whilst the ‘ribbon’ finish helps to circulate airflow. The outer edges of a mattress are the closest to your baby. Rather than using chemical flame retardants which can leak into the air, Moon Slumber rely on textile design to keep this fire safe. The flame resistant layer is built from a densely woven fabric that naturally prevents fire without relying on spray treatments. Above that is a tight-knit fabric cover. 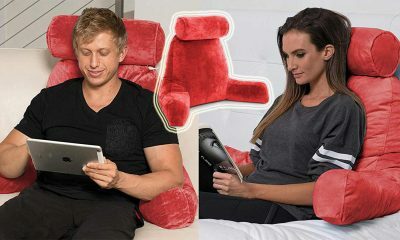 The cover is water, stain and odor resistant and can be wiped down with a cloth using cool water. It’s anti-microbial with a hypoallergenic finish which should provide sound sleep for both infants and parents. The inner layer is naturally infused polyurethane foam. The infants side has been extra-firm to reduce the chance of SIDS whilst encouraging the muscular development your baby needs to stand independently. 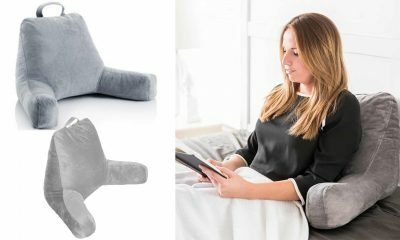 The same firm, albeit softer, is used for the toddler side to create a comfortable sleeping surface. The mattress is finished off with an air-flow ‘ribbon’. This helps to circulate heat away from the inner layers keeping your child cool during the night. Dual-stitching on the seams keeps the mattress sealed although, we would of liked to see a removable cover to make life easier. Moonlight Slumber doesn’t offer customers a trial period with these mattresses. For us that’s a real shame given how firm the layers are. There’s no one-size-fits-all approach when it comes to toddlers and we can’t help but feel a firm surface like this one won’t be for everyone. A lifetime warranty guarantees all Moonlight Slumber products. This is by no means a standard in the crib mattress industry. A warranty like this shows how confident they are in their manufacture whilst reducing the risk of purchase. Although the warranty lasts for a lifetime, the mattress won’t. This type of warranty can’t be transferred so you won’t be able to use it if you buy second hand. You’ll have to register yourself with Moonlight Slumber to activate the warranty and it won’t cover you for wear or accidental damage. If you’re purchasing from Amazon you’ll be able to have it shipped anywhere in the US. Likewise, you’ll be able to return it for free. if you have a faulty product the manufacturer is American based so you won’t have to pay a huge amount to have it repaired or replaced directly. If you’re looking to grab yourself a bargain basement crib mattress then you’ll have to continue your search. This one isn’t overly expensive but it’s not cheap either. We’d consider this mattress in the mid-price range. For that, we expect to see excellent workmanship and good quality materials used in construction. It’s been designed to meet the criteria for a US standard crib. It’s 52” in length with a 27.5” depth. When we placed this is in our standard crib we found it to be a tight fit with no gaps or loose edges. You can just about squeeze two fingers down the side but there was no risk of a toddler injuring their limbs by accidentally slipping down the side. In the infancy stage, a firm crib mattress is a must. At this age children need a hard surface to help them develop their motor skills. A firm surface will reduce the likelihood of SIDS whilst encouraging muscular development. This mattress is definitely on the firm side. 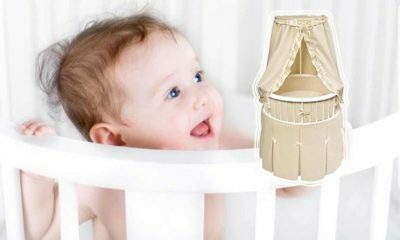 It’s great for young babies as there is no risk of them sinking into the mattress and restricting airflow. When we flipped the mattress we found the toddler’s side to be surprisingly firm as well. This might be uncomfortable for some toddlers although the mattress should soften up over time and usage. 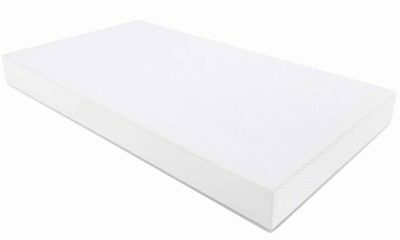 All Moonlight Slumber crib mattresses use a square corner design. This helps to reduce gaps in the crib but can be a hassle if they’re too firm making it difficult to pull the mattress in and out of the crib. 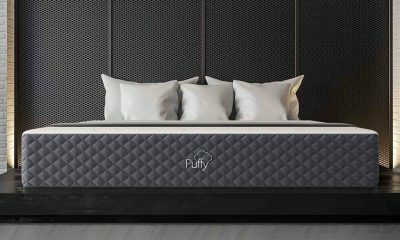 For such a firm mattress overall we were pleasantly surprised by the soft malleable corners. 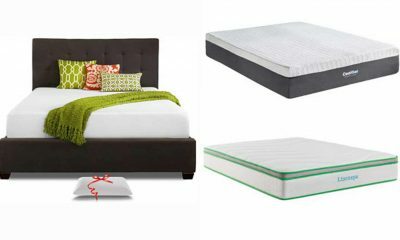 It’s easy to pull the mattress out or place it back in the crib. The stitching is folded under so there are no sharp edges that might cause scratches or irritate a baby’s skin. Stretching a regular sheet over square corners is a tough ask so make sure you invest in some light cotton, square sheets after making the purchase. When you’re using a foam mattress one of the problems is edge support. Like most crib mattresses we’ve reviewed we weren’t overly impressed with the edge support on offer. It feels a little squishy and we’re concerned that an older, heavier child would be able to push the edges down. 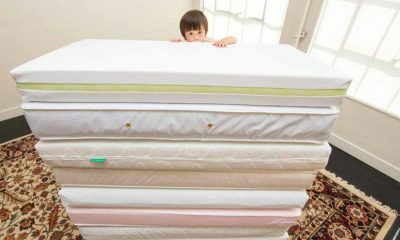 If you intend on transferring this mattress to a regular bed or converting your crib your toddler will find it easy to slip off the sides. If edge support is a big issue then the best bet is a coil spring mattress. As far as foam mattresses go, this one performs well but is not outstanding. All children have their own unique sleeping patterns and needs. 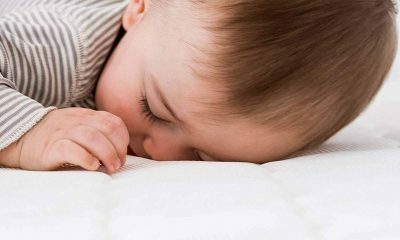 If your toddler has trouble sleeping during the night we felt the firm surface wouldn’t help with the problem. 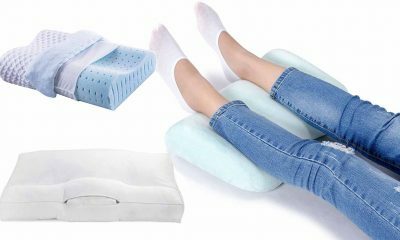 In addition, the air-circulation could definitely be better so you’ll want to factor that in if your toddler is a hot sleeper. One thing that we couldn’t help but notice with this mattress was the overall craftsmanship. 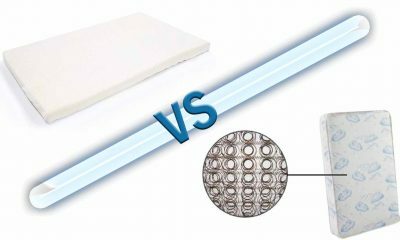 Crib mattresses are expected to last less time than a full-sized one but we were impressed with the sturdy stitching, protective covering and warranty. We can see the Little Dreamer lasting long after its expected lifespan which is a testament to the quality of its US manufacturing. How Long Will This Crib Mattress Last? Taking into account the quality of workmanship, stitching and materials we’d expect this mattress to last a good 3 to 4 years. 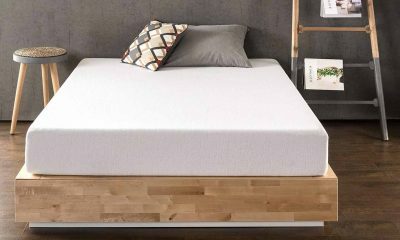 Provided you take care of it properly by using a mattress protector, there’s no reason you can’t rely on this mattress until your little one is old enough to sleep in a real bed. Being a dual-sided mattress this Moonlight Slumber is suitable for both infants and toddlers. One thing we would say is it is more suited to younger babies. Buying it directly for a toddler you might find it too uncomfortable. However, if you’ve already used it for several months we can see it softening up and being the only mattress you’ll need for the first 4 years of parenthood. There’s only so much we can predict about a mattress before we need to rely on confirmed customer reviews. This gives us an idea of how a product performs over time as well as the day to day practical features. The good news is that most parents were impressed with the overall quality of the mattress. 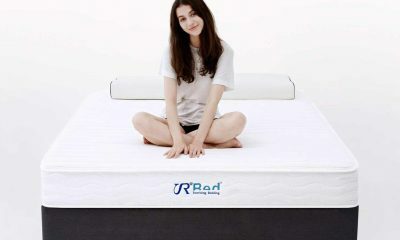 They were able to distinguish between the soft and firm sides easily whilst being happy with brand overall. The price seemed to be a sticking point for most parents who would’ve given it a higher rating had it been a little cheaper. It was also reported as being too firm to use directly for toddlers. We couldn’t find too many users who had spoken with the manufacturer directly. This is undoubtedly a good thing because it means there are few parents who had serious issues with the product. We can tell you that, as a US based company, it’s easy to get in contact with them via post, telephone or email. You can also get the direct lines for various members of the team from their website which we felt showed a willingness to open communications with customers. The only complaints we could find were with delivery. This was often down to independent sellers rather than with the company itself. 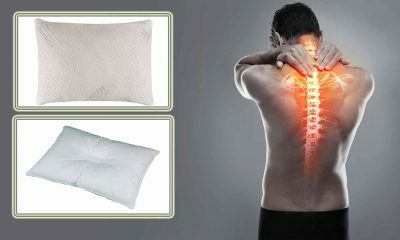 Some orders arrived damaged or with minor defects but were promptly replaced with good quality mattresses. 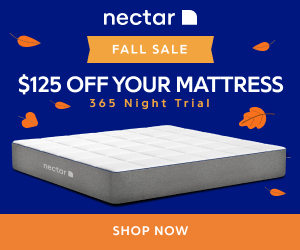 Are Natural Mattresses Safer Than Regular Mattresses? 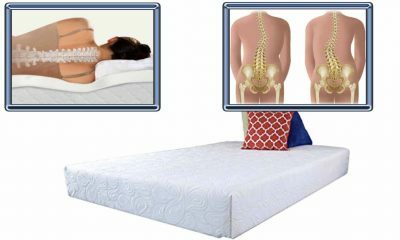 Natural mattresses have fewer toxins than regular mattresses but the idea that they are inherently safer is a myth. This mattress, for example, has passed all US safety regulations. It also holds a Greenguard certificate for exceptionally low emissions and toxins. I Already Have A Crib, Will This Mattress Fit? Provided you purchased your crib within the last 5 years from the US then it will fit this mattress. If your crib is from a European company you may want to check the length and width with a tape measure to make absolutely certain. 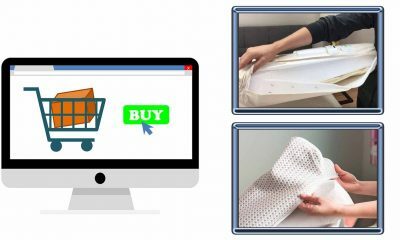 Do I Need To Buy Anything Else, Like A Mattress Protector? The cover is water and stain resistant but not entirely waterproof. 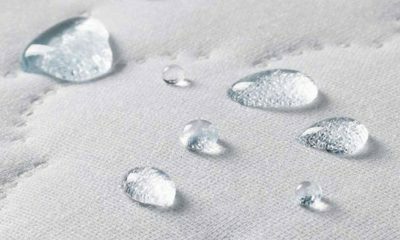 If you want to get the most out of any crib mattress we’d always recommend purchasing an additional mattress protector. Try to buy something that is machine washable using breathable fabrics to prevent your mattress getting too hot. I’m Going To Buy This For My Convertible Crib, Will It Work? This is a dual-sided crib mattress which means it’s designed to accommodate for both infants and toddlers. That means you should have no problem using this mattress for your convertible crib provided the size is right. As per federal law you have 30 days to return any unwanted product. If you make a purchase through Amazon you won’t have to cover the shipping fees either. After the first 30 days, you’ll have to have a defective mattress to be able to return it using the lifetime warranty. 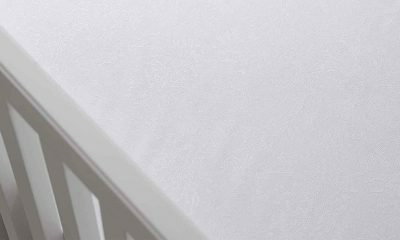 How Do I Clean My Crib Mattress? The recommended way to clean this Moonlight Slumber is by using a cloth with cool water. The cover isn’t removable so you won’t be able to machine wash it. Try to avoid using too much water or soaking the mattress as it will absorb water into the inner layers and damage the integrity. 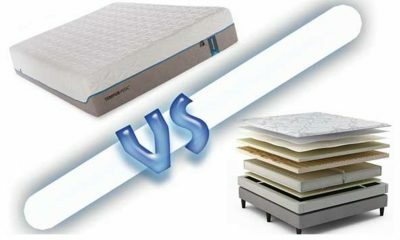 This is a dual sided mattress, what is the difference between the two sides? The infancy side is made using thicker, denser foam. 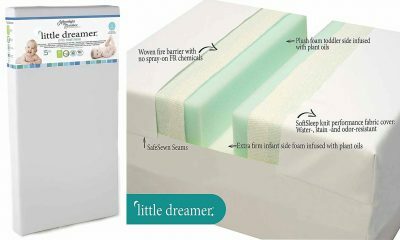 This Moonlight Slumber Little Dreamer is ideal for infants as it prevents SIDS and promotes growth. The toddler side of the mattress is noticeably softer for a more comfortable night’s sleep. We felt that cleaning could have been made easier with a removable cover. 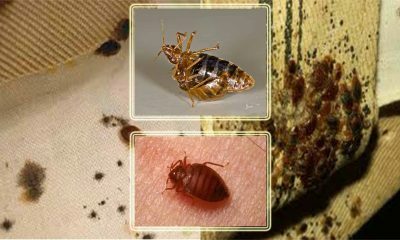 That’s why we recommend a mattress protector to go with it. The surface texture is stain-resistant so most day-to-day stains can be wiped away easily enough. What Does The Air-flow Ribbon Actually Do? The airflow ribbon is made from a breathable, tensile fabric. That helps to wick heat away from the mattress during the night to keep your baby cool. It’s not as effective as a coil spring or a honeycomb inner structure but it does help to reduce the temperature a little. Be aware that the air-flow ribbon is not available on all models and it’s worth checking with the seller if it’s included.